Learning Board keyboard For Kids helps kids of all ages learn the location of letters and other keys on a standard QWERTY keyboard. 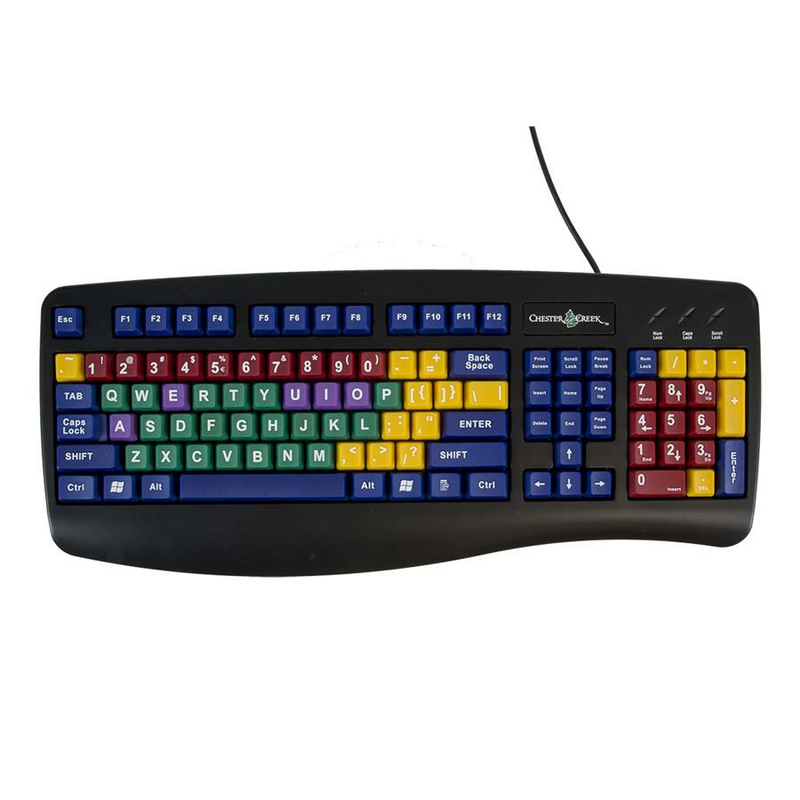 The keyboard comes with vibrant color-coded vowels, consonants, numbers and function keys. This will help kids to learn touch-type, finish homework, e-mail and communicate with friends and family. The learningboard withstand hard-handed use, yet provide smooth and dependable key action. Learning Board keyboard For Kids features color-coded vowels, consonants, numbers, and function keys. Compatible with Windows 98SE and newer, and MAC OS 10.1.5 and newer. &COPY; 2011 - 2019 Autism Enabled. All Rights Reserved.